Jim was born and raised in the Washington DC area. 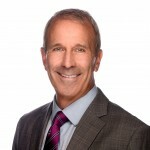 He began his commercial real estate career in 1986 and served 13 years with a downtown Washington DC based commercial real estate development and brokerage company, rising to the level of Senior Vice President before relocating to Charleston in 1998. He started Strategic Real Estate Advisors in 2002 and resides with his wife in Mount Pleasant. Harris was born in Lexington, KY and graduated from The University of The South, Sewanee, TN in 1978. Upon graduation he joined the family business that sold equipment and supplies for commercial & highway construction. In 1988 he obtained his Broker’s license in KY and worked for a firm selling & developing light industrial lots. 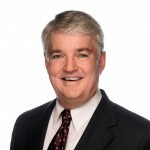 He moved to Charleston in 1992 and worked as a commercial broker and property manager for several firms before starting Strategic Asset Management in 2004. He resides in Mount Pleasant. Ashley was born and reared in Charleston, SC, and studied Economics at Clemson University. He began his commercial real estate career in 1983 and worked as a broker with three different commercial real estate firms, all in Charleston. 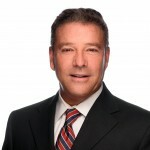 Throughout his career, he has completed transactions in all significant areas of commercial brokerage, those being primarily sales, leasing and development. With Jim Robertson he cofounded Strategic Real Estate Advisors in 2002 and resides in Mount Pleasant. 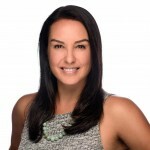 Originally from Napa Valley, Philippa graduated from University of California – Santa Barbara and started her real estate career in St. Helena, CA in 2001. After 9 years brokering estate homes, vineyard land and wineries she moved to Manhattan where she focused exclusively on the Townhome and Co-Op markets. In 2011 she moved to Charleston to work in partnership with her extended family in commercial real estate. She now partners with Jim Robertson and works with commercial development and investment clients in the greater Charleston area. Philippa still works with her family in Napa closely as a partner in their winery, Saintsbury. She resides in downtown Charleston.